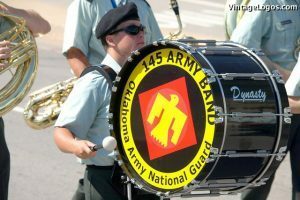 Organized and federally recognized in August of 1918, the Oklahoma Army National Guard’s 145th Army band provides music that promotes troop morale, unit spirit, and civil/military relations in support of military operations. Always in demand, the 145th Army Band had been dubbed the “Governors Own” and also performs at the Governor’s request, while still maintaining their role for the ‘Guard’. Jazz In June is proud to welcome the band’s return for this timely big band showcase and musical celebration.